If this house has other mortgage besides the one stated in the previous article, then the mortgagor is _________, and the mortgaged amount is RMB __________Yuan (capitalized as RMB _________YUAN ONLY). Party A agrees to finish all the procedures for canceling the mortgage____________(time or conditions) all by itself. If Party A has rented this house, it should be ensured that the renter has given up the right of preemption and is able to actively coordinate with the procedures for the evaluation, inspection, and acceptance during the process of the transaction of the house. Article III. Party A and Party B will fulfill the transaction through the method of the real estate brokerage institution. 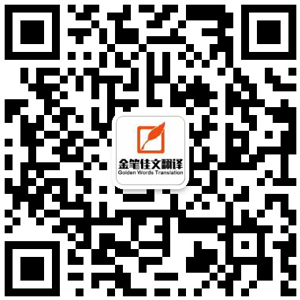 Party A and Party B will fulfill the transaction under the intermediate transaction of the real estate brokerage institution (name of the real estate brokerage institution: Beijing Woai Wojia Real Estate Brokerage Company Limited with the number of the certificate of the reference as JJJ (2002) No. 1339). The name of the broker of the real estate was Yan Hongmei with the number of the certificate as JJI14-01-10602. Name: Ma Dongze, with the number of the certificate as JJI14-01-10475. (I) After the two parties of Party A and Party B reach consensus through negotiation, the total price of the house for the transaction is RMB 2,390,000.00 Yuan (CAPITALIZED AS RMB TWO MILLION THREE HUNDRED AND NINETY THOUSAND YUAN ONLY). Party B should pay RMB 50,000.00 Yuan (CAPITALIZED AS RMB FIFTY THOUSAND YUAN ONLY) to Party A on the date when the contract is signed, which should be transferred through [asset monitoring], [asset supervision][autonomous connection]. The asset monitoring in this contract means that the housing management administrative institution in Beijing will compulsively require the asset in the process of transaction in the asset monitoring area must be monitored by the asset monitoring special account established it in order to protect the security of the capitals of both parties in transaction and cancel the monitoring of asset after the completion of the registration of transferring of ownership. The asset supervision in this contract means that in order to ensure the security of the assets both parties in the transaction may apply to the bank and freeze the transaction capital, neither parties in the transaction of the freezing period should use or control unilaterally. After the conditions for cancellation had been met, the frozen capital should be satisfied. The autonomous transferring of the capital in this contract means that both parties in this contract do not adopt the methods of capital monitoring or capital supervision, autonomously contact for payment of the amount for purchasing the house and sign the “Statement for Autonomous Transferring” (Annex III).